When we’re in the prime of our lives, it’s easy to shrug off doing those little things that add up to complete and better health over time. One important aspect of health that develops even from seemingly harmless unhealthy habits is high blood pressure. Even before we experience the very negative consequences of this sneaky condition, it could already be taking hold—and in a silent, imperceptible way. High blood pressure (also called hypertension) is very common and occurs in about 1 in 3 people in America. That’s one-third of the entire population. Being sedentary, eating poor quality foods, and a whole lot more are each part of the cause. But what fuels this condition the most is losing touch with the healing powers of our natural foods. It could be argued that having high blood pressure is a direct, unhealthy consequence of getting out of sync with nature. When we drift away from healthier, more natural foods—especially plant-based and nutrient dense foods—the body suffers. The same happens when we don’t move our bodies in the natural ways they’re supposed to. 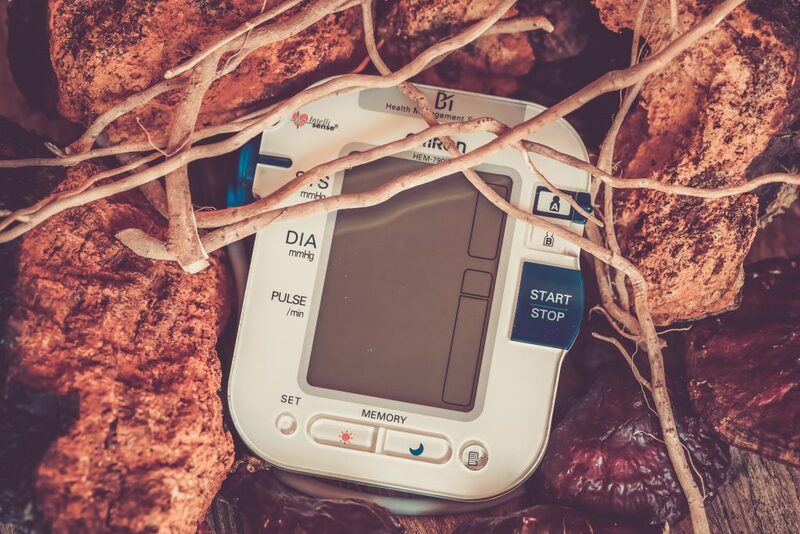 Research and medical experts both hold that reconnecting with nature in its many complex, rich facets can be one of the most effective ways to combat high blood pressure. Whether that’s moving the body again as it’s naturally supposed to, getting natural foods back into the diet, or even finding stress-relieving sanctuary in beautiful environmental surroundings, nature holds many answers. Yet there’s particular interest in phytotherapy—the use of plant-and fungal-based health enhancements—for alleviating high blood pressure. In simpler terms, these are the health-supporting qualities of certain herbs and mushrooms, which we will delve into later. First off: what exactly is high blood pressure, or hypertension? High blood pressure isn’t exactly considered a disease, but it’s still certainly a condition that can lead to diseases. High blood pressure occurs when the heart must pump harder than usual to get blood, oxygen, and nutrients to all parts of the body. What might happen to health because of this? What happens is that over time the heart, blood vessels, and arteries take a toll since they’re working much too hard and inefficiently. At the same time, the body starts to receive less and less of the things it needs: namely oxygen and nutrients. The heart and blood vessels also begin to weaken, becoming more and more vulnerable to failures and problems in the process. One complication that happens as the result of high blood pressure: tears begin to form in artery walls. If cholesterol is high too, this creates buildup in those tears, which even further increases blood pressure. Once this phase of high blood pressure happens, a door is opened to all sorts of illnesses and conditions. How does one get high blood pressure in the first place? Eating an unvaried diet is one of the biggest culprits for high blood pressure. especially from eating too much junk and processed foods. Exercise is necessary to prime cardiovascular health. But also, being overweight, obese, or too sedentary causes blood pressure to climb. Every time a person smokes, it creates a temporary rise in blood pressure. Lots of smoking over time will keep that blood pressure at high, unhealthy levels for an extended period. If drinking is heavy and frequent, this also raises blood pressure. Like smoking, it causes inflammation, which signals a spiked blood pressure response. While mental health states aren’t established causes for high blood pressure, they do cause short-term spikes. If unmanaged, they can be fuel for the hypertension fire. People’s vulnerability to getting high blood pressure may ultimately boil down to genetics. If someone in their family had it, that increases the chances they may get it, too. Having certain other illnesses also increases risk, such as thyroid or kidney problems. WHAT EXACTLY HAPPENS WHEN WE GET HIGH BLOOD PRESSURE? We know the causes for high blood pressure. High blood pressure can cause and even work with chronic inflammation to degrade health. Together, both escalate one’s risk of heart disease. Heightened blood pressure impacts on the heart are worst of all. It increases the chance of heart attacks, heart failure, and artery diseases. 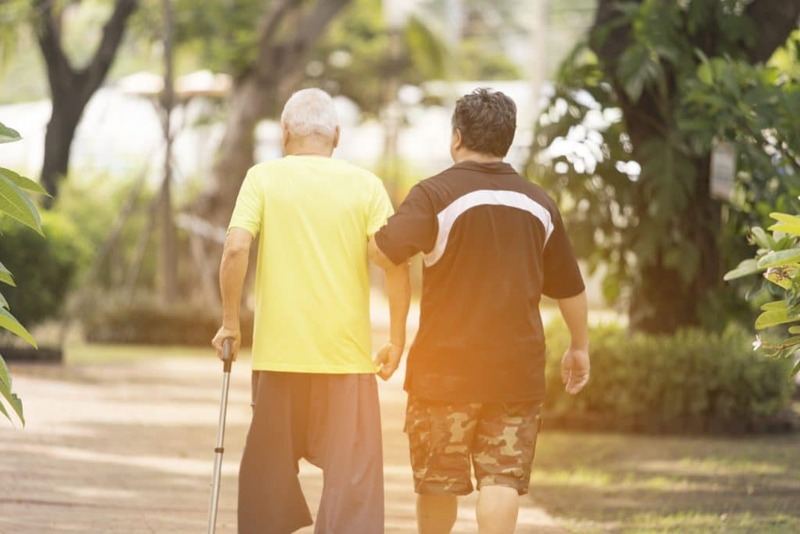 Increased stroke risk follows not too far behind heart disease risk. With less blood able to pump through the body, lack of oxygen and nutrients to the brain can set one up for strokes as well as blood clots in the brain. Hypertension can affect the reproductive system in both men and women, often by diminishing drive and energy. This can cause low fertility, too. If blood pressure is high, this can also impact issues like memory and focus in the brain in addition to increasing stroke risk. HOW DO WE PROTECT AGAINST OR REDUCE HIGH BLOOD PRESSURE? 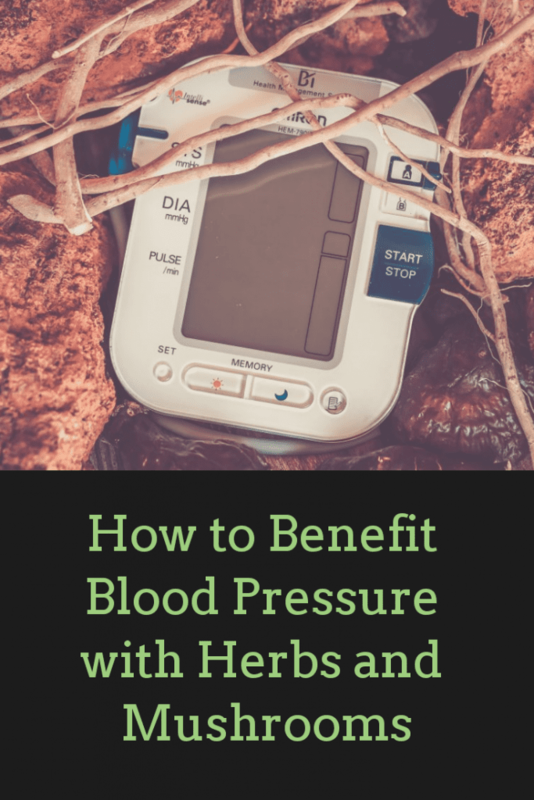 Because high blood pressure isn’t quite a fully-fledged disease, this means that it can be protected against—or even improved—at home. If one’s blood pressure isn’t too high, changing lifestyle habits is something that can be completely in one’s control. In fact, changing habits is one of the top-recommended health approaches to getting blood pressure back under control. Topping off one’s diet and lifestyle changes with beneficial herbs and mushrooms may be yet another healthy push towards reducing high blood pressure risk—or, to helping reduce it if it’s already established. Studies support these herbs, fungi, and many more unlisted besides in aiding a healthy cardiovascular system, when combined with the right diet and lifestyle habits. On top of reigniting energy and alleviating stress, the Indian herb ashwagandha has also been explored for treating hypertension in this 2012 study, among others. The root contains withanolides which, as antioxidants, are connected to a blood pressure-lowering effect. 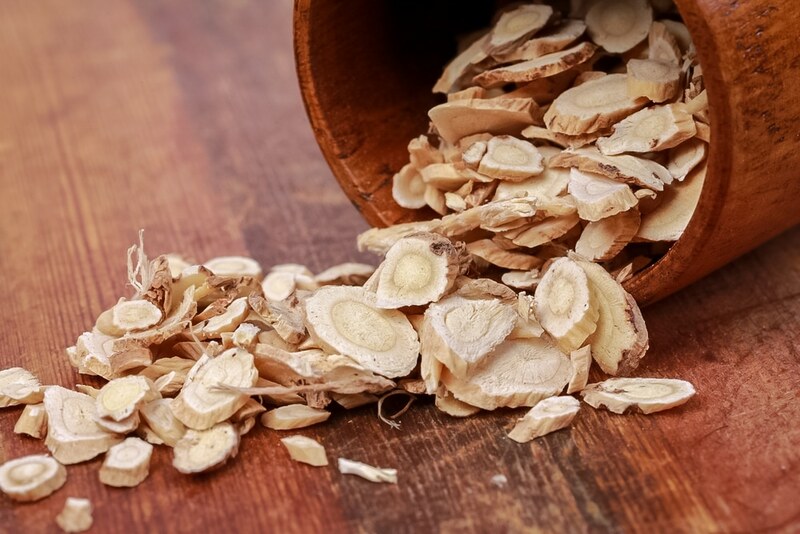 Yet another healing Asian herb, astragalus has shown some strong potential for helping lower blood pressure. In a 2012 study, on top of helping lower high blood pressure, it was also associated with having benefits for atherosclerosis, another factor that can increase heart disease risk. A culinary and edible root popular in both Europe and Asia, the prickly-seeded burdock plant has also had some traditional medicinal uses. Today, studies favor it as a potential anti-hypertensive. In a 2015 study, a compound from burdock—arctigenin—was observed lowering blood pressure successfully in test subjects. An annoying weed—or a not so secret help for high blood pressure? For thousands of years, dandelion has been used as a tonic and a medicine. The plant is also diuretic according to this 2014 review. Diuretics are often prescribed for high blood pressure, making dandelion a potential natural alternative for gently lowering blood pressure. Passionflower is better known for bearing tropical fruit as well as helping with both anxiety and sleep. 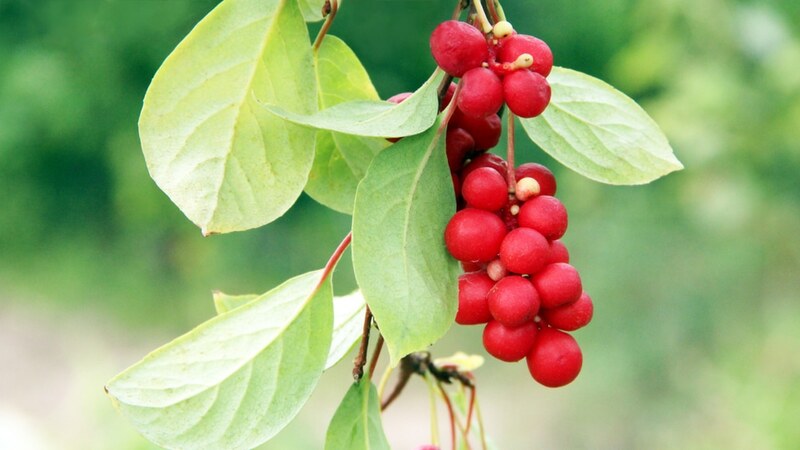 But as an added perk, studies suggest that it may also help lower blood pressure and heal hypertension. This could make it especially helpful in cases dealing with blood pressure associated with anxiety. The singular mushroom native to rugged alpine forests all over the Northern Hemisphere, chaga is full of phytochemicals unmatched by any other herb or mushroom. Chaga specifically contains polysaccharides and antioxidants that are connected to hypotensive effects, according to this 2012 study. This favorite among forest foragers, maitake (also called hen of the woods) has plenty of studies demonstrating immune-boosting benefits due to rich antioxidant content. The mushroom is also mentioned as a potential hypotensive helper in this 2014 review. A colorful mushroom to behold in both Asia and North America, reishi’s immune-boosting potential is due to antioxidants that also help lower blood pressure. A 2014 review also found reishi mushroom contains peptides that could one day be used as natural blood pressure medications, comparable to today’s medicines. 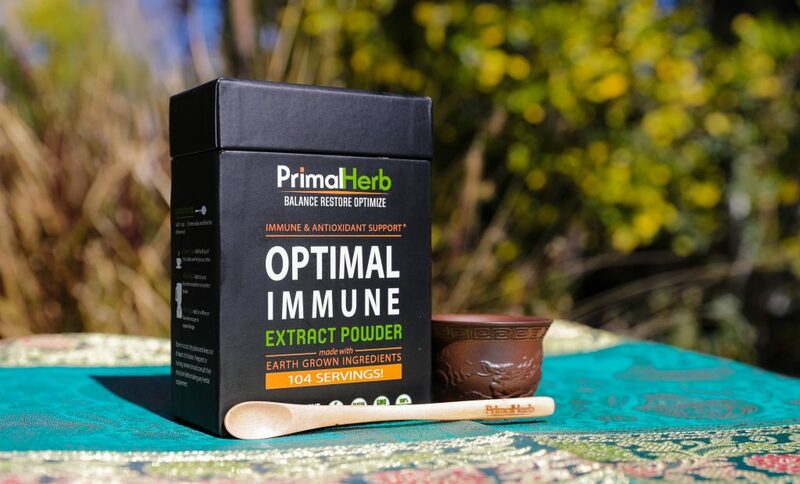 These blood pressure-supporting Herbs and Mushrooms can be found in our Optimal Immune formula. This especially means Cutting down on sugary, processed foods which can be a huge help to wellness. What should these foods be replaced with? Health authorities highly recommend more dietary fiber as well as target nutrients like magnesium and potassium, which can be found aplenty in plant-based foods and are shown to lower blood pressure. Further, foods like resistant starches have similar benefits for cardiovascular health as fiber. Antioxidant nutrients, which include vitamins like A, C, and E, also help keep down inflammation and tame high blood pressure—as well as some prominent phytonutrients. One very simple way to help with blood pressure is to get outside and enjoy the morning sun. The more skin you have exposed the more benefits you will experience. When our skin is exposed to the sunlight Nitric Oxide is released into our blood vessels causing them to dilate, making it easy for our blood to flow, and thus lowering blood pressure. But why morning sun? When the sun first starts to peak out on the horizon only the healing infrared rays make it through the atmosphere. So there is little chance of burning. Hense the more skin you have exposed for the healing infrared rays to hit the more of a benefit you will experience. How about those UV rays? Those start to become present once the sun has hit the 30-degree angle in the sky and only get stronger as the day goes on. They have their own benefits but that’s for another day (for more information on the importance of morning sun be sure to check out our in-depth article here). Exercise is so highly supported for lowering blood pressure, some doctors may even recommend it instead of medication for mild blood pressure cases. If exercise is regular, daily, and consistent, very noticeable improvements in blood pressure can be made. They are even better if one participates in aerobic exercise. If people don’t exercise very regularly, however, blood pressure tends to go right back up. For that reason, it’s important to stick to a regimen to reduce high blood pressure risk, or to improve it if it’s already there. On the same note, exercise is essential for managing a healthy weight, and having a healthy weight is also essential to keeping blood pressure at healthy levels. No amount of better exercise and eating habits can make up for—or even reduce—the high blood pressure caused by drinking and smoking. To completely cut down one’s vulnerability to hypertension, it’s best to completely quit smoking. When it comes to alcohol, cutting down to 1 or 2 drinks per day—or quitting completely—is the only way to have an impact on high blood pressure risk. Of course, nothing improves one’s outlook more than dropping both drinking and smoking as vices completely. What’s more, keeping away from these substances can also further reduce the risk of yet more diseases, including diabetes, fatty liver disease, cancers, and more. Even more empowering than transforming one’s diet into a better regimen is to connect to foods in their most natural states. But why would that matter? Studies on various foods—including lettuce, brassica vegetables (broccoli, kale, e.g. ), and even sustainably-raised meat—support that these are more nutritious when produced in their most natural states. This especially means they’re high in antioxidant nutrients, which may be helpful in curbing blood pressure naturally. Plant foods particularly, grown with natural practices and harvested and eaten in season, are the very best options for cardiovascular health that one could eat. Similarly, meat that is fed its natural diet and sustainably raised tends to be more antioxidant-rich and better than other similar products. Together, these can make one’s food also one’s medicine—and if we combine it with the power of herbs and mushrooms then we have an excellent formula to combat high blood pressure.